Professionally printed Letterheads allow you to create personalised letters and marketing material. Letterheads can also be used for invoices with the terms and conditions on the reverse, simply load the letterheads into your printer and overprint the variable information. 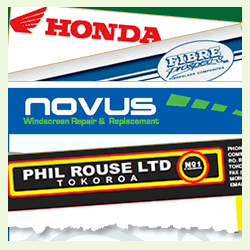 Letterheads are offset printed and can be loaded through laser or ink-jet printers and are available in full colour. Printed on 100 gsm letterhead paper. Email me your photo, logo and information, I will do the rest. Proofs are free.